Princess Elena of Avalor. 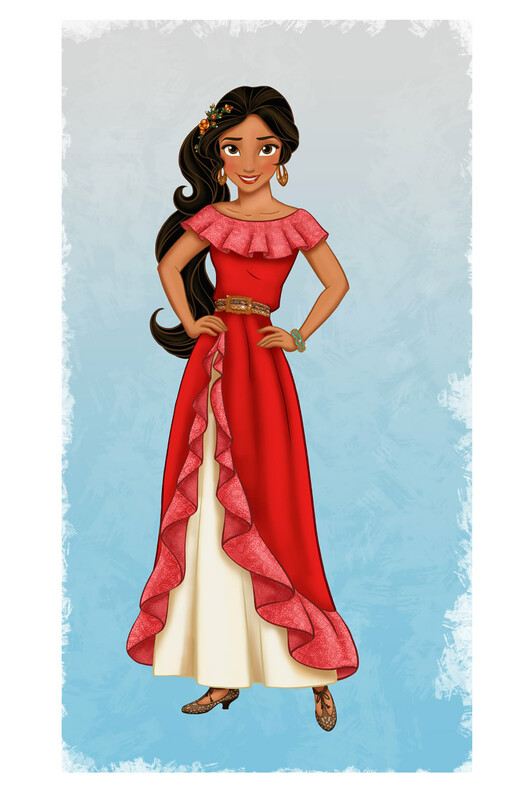 Elena of Avalor. HD Wallpaper and background images in the princesas de disney club tagged: photo elena of avalor princess elena disney tv series disney princess. This princesas de disney photo might contain vestido de la cena, vestido de la cena,, vestido de noche formal, vestido de cena, formal, vestido de noche, vestido, and vestido de té. No, seriously, is it just me, or creators were super lazy? I mean, this is Jasmine. I'm seeing less Jasmine and more Maria from the Book of Life (minus the ginormous eyes), they even have the same color scheme and hairstyle! Nah, Jasmine is way more beautiful, she has different features. But yeah, definitely a rip-off Maria. Jasmine and Maria's love child. I'm slightly disappointed, here I was thinking DISNEY's Latina princess would have a gorgeous and unique design...But she looks just generically cute, like something out of Zorro or the Book of Life.